Phuket Hospitals are mainly found in and around Phuket Town, although there are two hospitals that have International standards. Both offering a large range of facilities and services for foreign patients. The Siriroj International Hospital formally known as the Phuket International hospital is one of the leading private hospitals on the island, offering a comprehensive range of medical services, specifically designed for foreign tourists and residents. 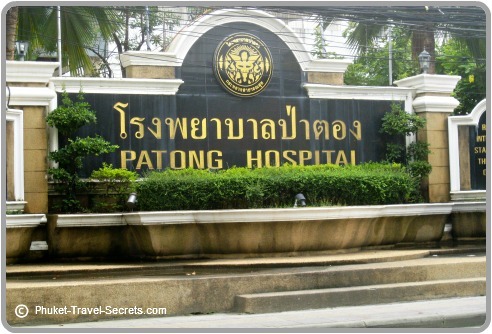 The Siriroj International Hospital is the closest private hospital to Patong Beach, located between the Big C and Tesco Lotus on the Bypass Road. Has an International Medical Centre that caters exclusively for foreigners in Phuket, with interpreters that can speak a variety of languages. The hospital has also set up outreach clinics that are located in many resorts and hotels all over the Island. Is located at the Canal Shopping Village at Bangtao. The outreach service is also extended beyond Phuket to nearby tourist areas of Krabi, Phang Nga, Chumporn, Surat- Thani and Songhla. The main hospital is located at 2/1 Hongyok Utis Road, Muang District Phuket. Other Phuket hospitals are listed below, however for anything serious it would be best to go to either Phuket International Hospital or Bangkok Hospital. When travelling, it is advisable to take out travel insurance that covers treatment and hospital stays in Phuket. AndaLab is a reputable, professional, high quality and fast growing company providing X-Ray and medical laboratory services on Phuket Island since 2009. Services available at Andalab are listed below. For further information you can visit their website.